Hey everyone! Most of us over here at At the Buzzer are currently questing through Bravely Default, but since I’ve invested the most time into it since it’s release it seemed only fitting that I be the first to post my thought on the game. Now since I’m not really one for writing reviews of games I haven’t finished, this isn’t going to be a full review. Just my impressions as I finish up what is (maybe?) the halfway point of the game. 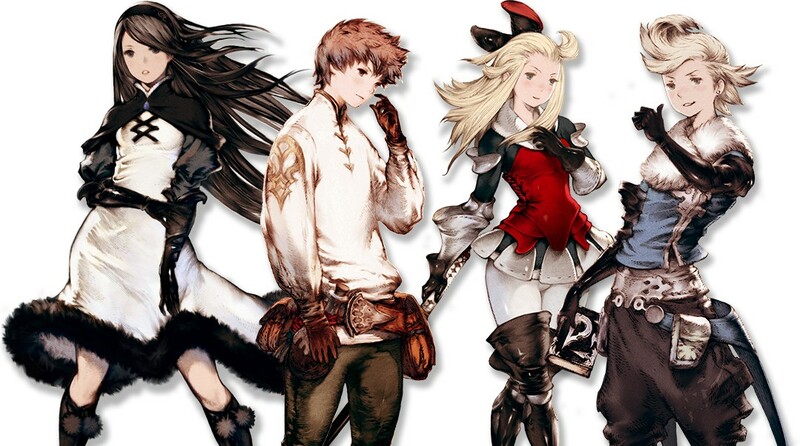 The Job System: With an assortment of jobs to pick from and weapons to arm your characters with, every person’s play-through of Bravely Default will be different. Likewise, you’re encouraged to experiment and find/change strategies on the fly. I, for example, was having a hard time fighting a particular type of boss recently due to their overwhelming AOE attacks. So I switched everyone in the party to a Ninja and proceeded to epic dodge my way to some easy victories. Changing jobs isn’t just a great strategy, but a great way to customize the characters how you see fit; which can really help you connect with them in a way that other RPG characters may not. The Combat System: Being able to “cash-in” turns ahead of time is a great way to speed up the pace of combat without breaking the system in half. Some fights will require a cool head, while others can be accomplished with brute force and speed. It’s up to you, the player, to decide what’s best and move forward. Very rarely has a turn based system ever felt so fresh in an RPG before. The Characters: Whether it’s the good guys or the bad guys, the unique designs and personalities of the characters in the game are fantastic. Are some of them rather trope-y? Sure. But others will come at you from left field and offer you some truly entertaining events to play through. The Combat System: Yes I know I just spoke highly of it, but you have to understand one thing: The enemies use it just the same as you. So what’s to stop the enemy boss from killing one of you characters before the 4-turn combo you already qued up kills him and forces you to fight him all over again because you don’t want a character to miss out on all that EXP? Nothing. Absolutely NOTHING. Indeed, I don’t know if I’ve ever seen a game with so many vindictive bosses. They seem to make a habit of “beating you” even in defeat, as they strike out with auto-crit attacks or instant kills the very TURN they die. It can be frustrating. You’e been warned. The Back-tracking: For obvious reasons, you’re going to want to grab every extra job as soon as it becomes available. After all, who doesn’t want more options in how they level up their mans? Unfortunately however, a number of the side missions that provide these jobs also require some SERIOUS backtracking. As in, re-visiting every town you’ve been to so far; on foot/boat. No teleporting, no flying. Now this wouldn’t be so bad in and of itself, but it can be rather jarring from a story stand point to be standing in front of the place you need to go only to turn around and go and a week’s journey TO THE PLACE YOU STARTED THE GAME FROM just to talk to some old lady. Context often seem to get tossed out the window for the sake of game mechanics in this regard. Annoying Enemies: Have you ever enjoyed fighting small plants that can paralyze your entire party? How about Succubi who mind control your fighter after you just gave him 4 turns so they can cut your healer to bloody ribbons? These enemies exist, and not in small numbers. They can be a constant source of frustration that can otherwise ruin a perfectly good run through a dungeon with their shenanigans. The Freelancer Job: So this one might just be a personal thing, but it seems really silly to include a class into the game that, as its class talents, has things that other games happily put into their interface. Would you like to know how much health that boss has? WELL TOO BAD, you’d better have a Freelancer in your party if you want to know! Want to know how many chests are in a dungeon? Well then level up that freelancer buddy, cause otherwise you’re SOL. Persona got this one right, leave the User Interface abilities to non-party members (or just put it in the game to begin with). Having to waste skills and abilities on a character just to handle these basic game functions is just silly, and really not a healthy mindset to have when designing a game. 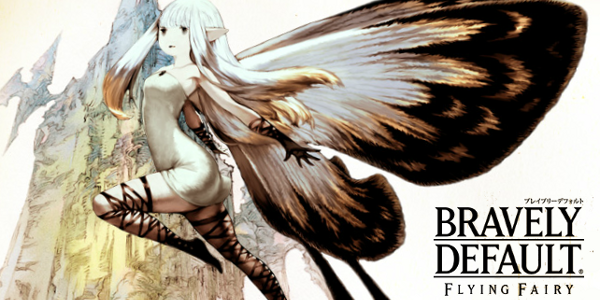 So far I’ve thoroughly enjoyed my time with Bravely Default, and I can’t wait to finish it. I’ve heard the end of the game can get a little rocky, but I haven’t yet reached this point so I cannot say. Despite some minor complaints and some frustrating battles, I’ve enjoyed my 44 or so hours in the game and would highly suggest anyone who’s a fan of Final Fantasy or Turn Based RPGs pick it up. It’s a refreshingly new take on some old-school gameplay, and really shouldn’t be missed!